Latest state-of-the-art In-house technology perfected since 2007. 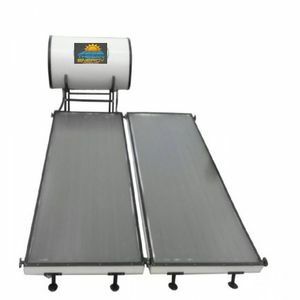 Full 3600 tracking from Sunrise to Sunset. Evacuated tubes imported from worlds renowned company. Triple coat patented high efficiency selective coating. Very high degree of vacuum to prevent radiation loss. 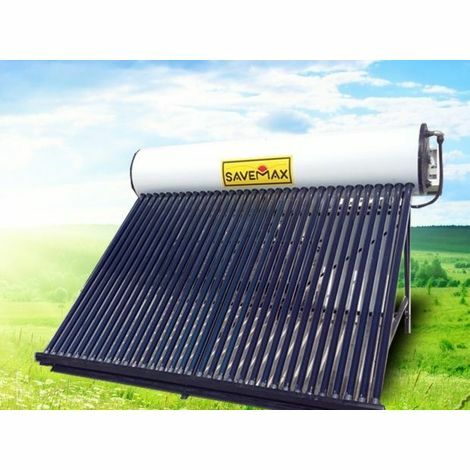 Solar Tanks made from high quality material sourced from reputed manufacturers. High Pressure PUF injection process used for producing thoroughly insulated tanks. Powder-coated CRCA sheet metal frames for tank & tubes. 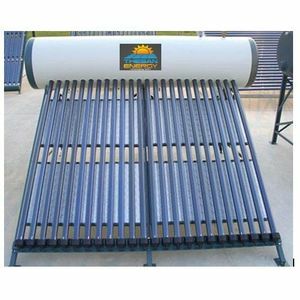 Solar Tubes - High Efficiency-SS-Cu-Al-N-triple-coated tubes sourced from worlds reputed supplier. 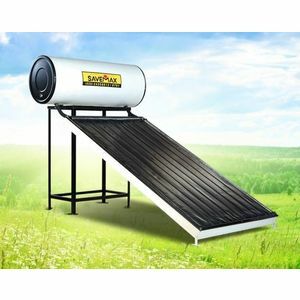 Flat plate type solar water heaters also available for projects in sizes - 1000lpd, 2000lpd, 3000lpd, 5000lpd. Hot water storage tank - SS 304 grade / MS Epoxy Coated / Galvanized Steel. Electrical backup - Socket provision for Built-in 3kw with thermostat. Outer Cover - Pre-Coated Steel. Stand for system - Modular, enamel painted, integrated made from CRCA high quality steel. Colour - Pre-coated steel Ivory for shell & satin-black for side covers.